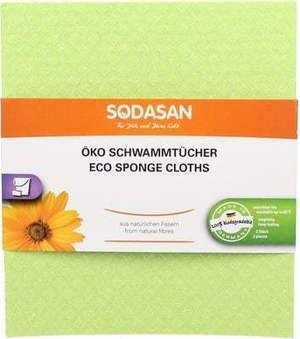 Sodasan Eco Sponge Cloths is a long lasting, highly absorbent eco-friendly cleaning cloth with natural fibres which can be used anywhere around the house. The sponge cloths do not contain any fungicide and can be machine washed. Due to the natural fibres of the cloths they are easily compostable. They are composed of a cellulose – cottonwool mix and can be used around the entire house.